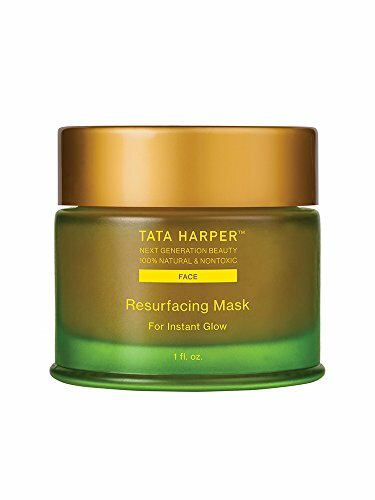 What is Tata Resurfacing Mask? What does it do for your skin? Are there any key ingredients within the formula? Is there a better way to use it? What’s the feel on skin? What are the main outcomes? What’s the final word on the mask? The price for a healthier and glowing skin is worth to pay as nice looking skin always makes a nice impression. Assuming you’re already using an efficient cleanser and have the best choice for serum, moisturizer and so on, a reliable and effective mask for your skin is another thing to take care of. 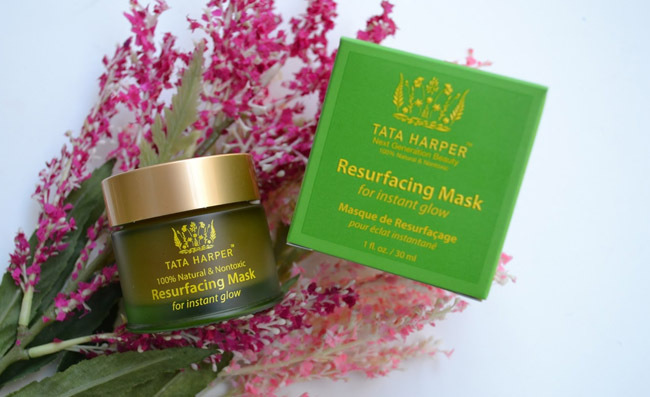 The face Tata Harper Resurfacing Mask is a fast solution to eliminate dullness from your skin. It makes the skin smooth and soft, leaving it fresh and radiant. When using the mask, you’re going to notice the pores get smaller, improving the overall appearance of your skin. The award-winning beta-hydroxy mask acts like a typical peel, ensuring a quick solution for a dull skin. It works without causing irritation, improving the texture of your skin. Its formula purifies and eliminates surface debris and dead skin, which translates into a refreshed and rejuvenated look on your skin. Not only the mask is made with natural ingredients, but the blend manages to efficiently work for the better appearance of your skin. Aloe barbadensis leaf juice-diminishes the visibility of scars and stretching marks. It treats psoriasis and eczema and keeps acne at bay. It moisturizes the skin and helps the skin fight against the aging process. Willow bark extract- it’s a powerful ingredient that reduces inflammation of skin. It’s successfully addresses rosacea, psoriasis, eczema and various fungal infection. Punica granatum fruit ferment extract-it keeps the skin healthy and nicely looking. It brings comfort in psoriasis, eczema or vitiligo. It controls acne and works against inflammation of skin. Beetroot extract- it’s loaded with anti-oxidants so it’s a great ingredient for the anti-aging process. It lessens the visibility of pigmentation and blemishes and evens out the skin tone. It has a high concentration of vitamin C and moisturizes the dry skin. It removes the dead cells and hydrates deeply. Rose clay- addresses all skin type and cleanses the skin without removing the natural oils. It’s gentle enough for the sensitive skin and draws the impurities and oils to the surface, reducing the looks of the clogged pores and oily skin. It increases the firmness of the skin, giving it a lift. It minimizes the appearance of pores and puffiness and fades out the wrinkles and fine lines. It evens out the skin tone too. Leuconostoc Ferment Filtrate- it’s a preservative that moisturizes and conditions the skin. It improves the health and appearance of skin too. The formula is made with clinical grade essential oils and works for all skin types. First of all, you shouldn’t use the mask daily, but only a couple of times in a week. Obviously enough, your skin should be all cleansed prior application of the mask. In the beginning, you may use it every day for 3 days or so. However, you should reduce the use to 1-2 times per week for getting a softer and radiant skin. You should gently apply a thick layer over your face, neck and chest. Let it rest for 15-30 minutes. Continue with rinsing it well with some warm water. It washes off very fast and easy too. The mask leaves the skin soft and smooth. It refreshes the skin and brightens its appearance. It doesn’t irritate a sensitive skin and has a pleasant smell. A little goes a long way and the mask isn’t very creamy. It leaves the skin better looking and evens out the skin tone. It may feel a bit drying for some. Made with natural ingredients, the mask helps your skin get softer, smoother and better looking. It eliminates dullness from your skin only to leave a more radiant and younger looking skin. Are you interested? Recent reviews on Sugar & Fluff Beauty: the Tata Harper Elixir Vitae, the Tula Probiotic Skin Care Hydrating Day and Night Cream, the Bee Friendly Anti-Aging Face & Eye Serum, the Ogee Seeds of Youth Serum, the Murad Invisiblur Perfecting SPF 30 Review.